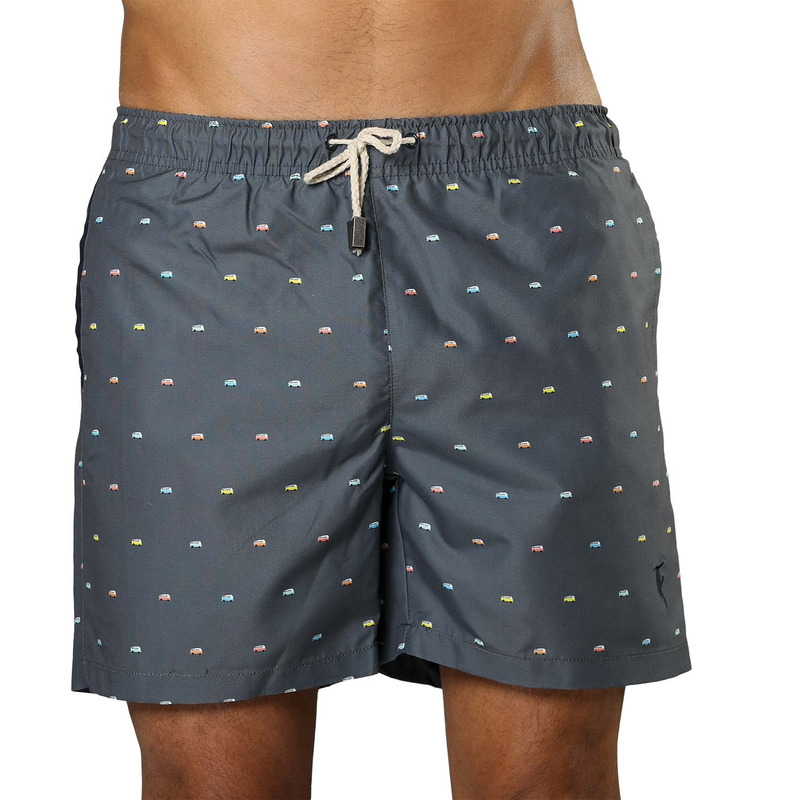 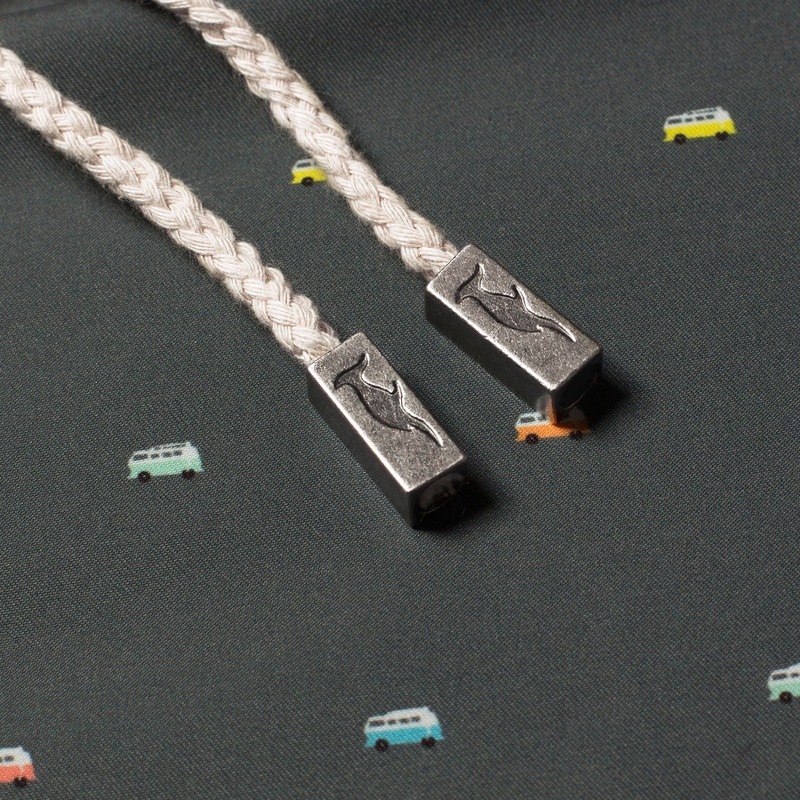 Sanwin Beachwear swimming trunks in grey with mini retro VW camper print in multiple colors. 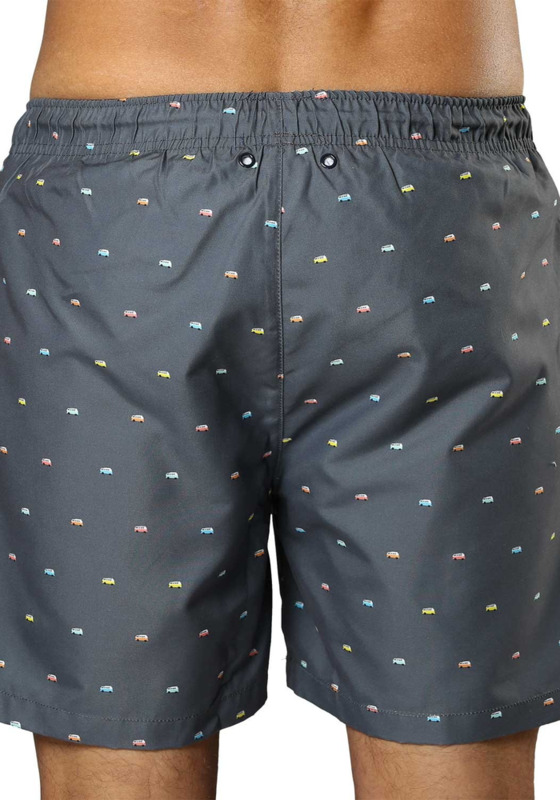 This Dutch brand makes quality beachwear in the best prints. 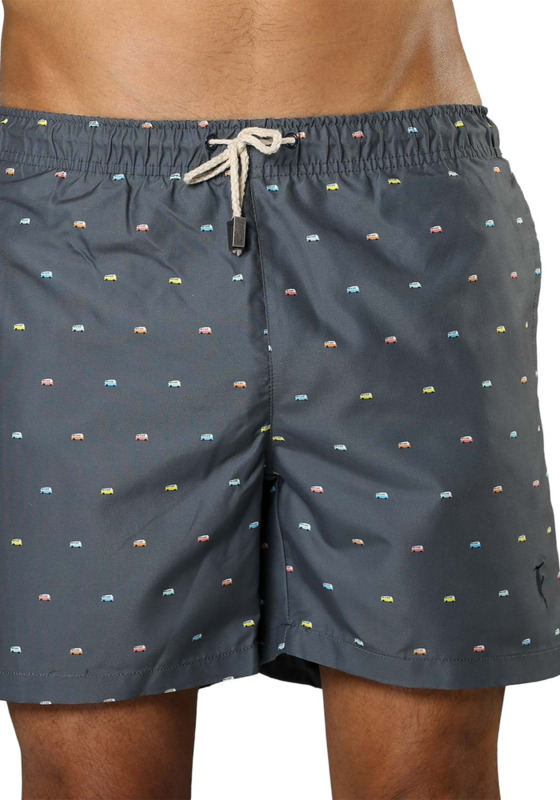 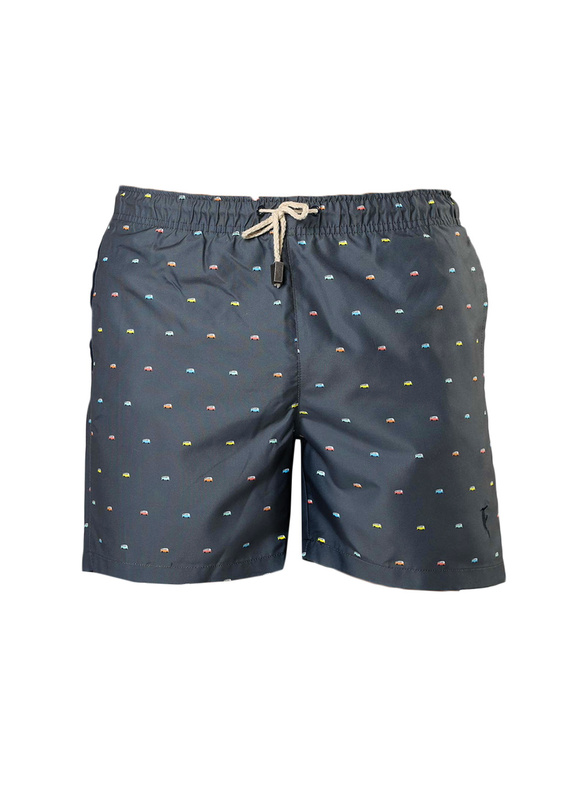 Each swim short comes with a storage bag in a matching print. 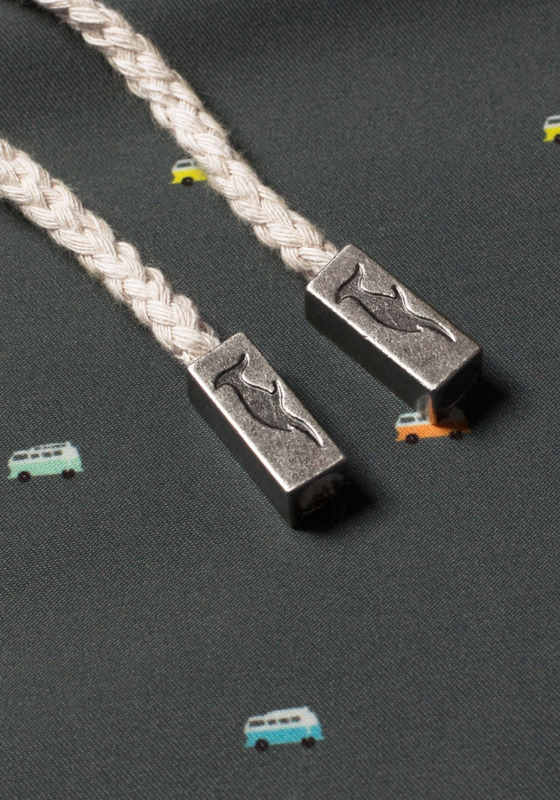 On the side is a zipper pocket for some cash or your mobile.